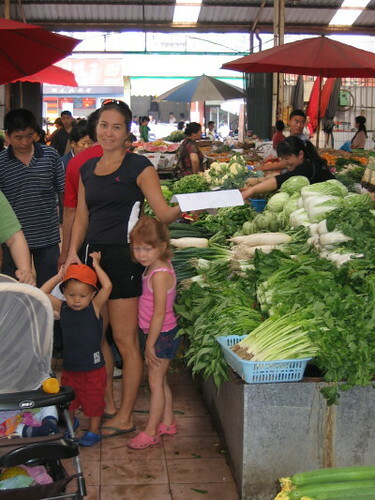 Last Sunday we packed up the family for a trip to my favorite vegetable market. Jonny doesn't usually get to go to the market, so this was a special treat for him. He took quite a few pictures or our shopping trip. I think this will give everyone an idea of what my produce shopping is like. Here is the fruit stall I visit. The boxes of orange fruit that look similar to a apricot are called pipa. I think they are called kumquats in English. Here is my fruit lady. She calls me friend in Chinese every time I see her! 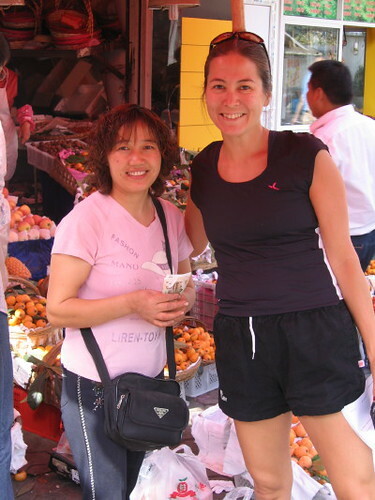 She is always really great and gives the kids lots of free fruit to eat while I am shopping. Here we are inside where it is mostly vegetables, fish, seafood, and meat. You can also buy homemade noodles, tofu, rice and all sorts of spices. Outside the vegetable part of the market there are fish and turtles for sale. 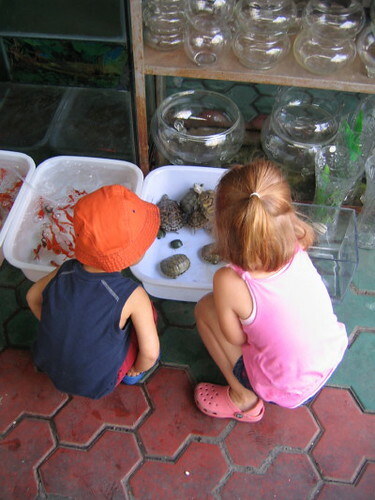 Here are the kids checking out the turtles. 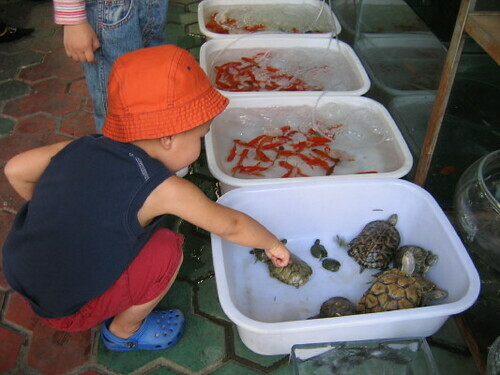 Angus playing with the turtles. 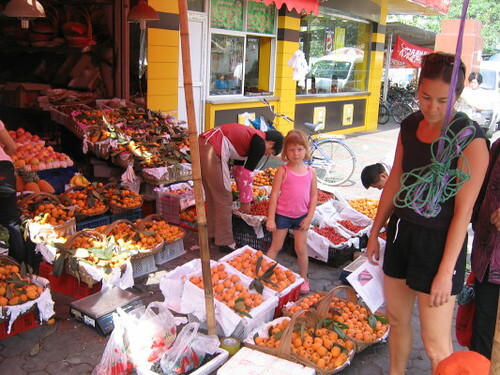 This is really a great place and I love to buy fresh fruits and veggies here. The only downside is it is quite dirty, but this is probably the cleanest market I have seen in Chengdu. The prices are so cheap you probably wouldn't believe me. 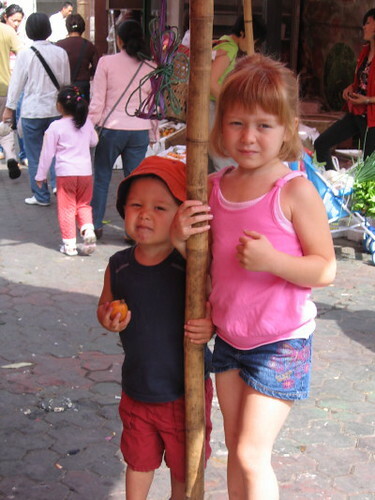 I bought lots of strawberries, spinach, lettuce, onions, potatoes, bananas, apples, oranges, and noodles and it set us back around $10. That market look like so much fun. That is something we are really missing in Chandler. All the fresh fruit and veggies look so good. Your weather looks great too!